Most of the time, travelers in foreign countries rely on public transportation to get around. It's so much easier to simply figure out the train or subway schedules and where the stations are than to figure out how to get from here to there while you're driving in a foreign country, especially if you don't know the language. But having your own car provides freedom and is especially helpful if you plan to leave the metropolitan areas and venture out into the countryside, where public transportation like trains is not frequent or doesn't exist at all. 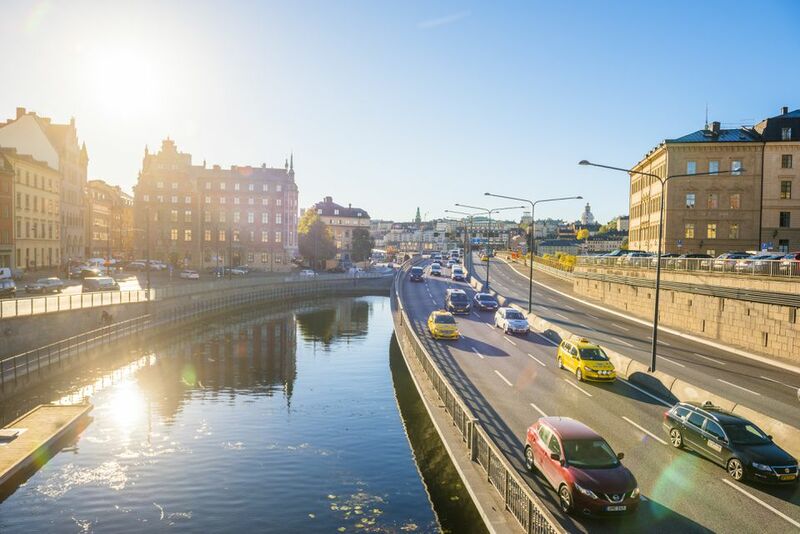 If you're going to Sweden for a vacation and are thinking about renting a car, learn the rules of the road before you go with these practical tips for drivers in Sweden. U.S. citizens traveling in Sweden who want to rent a car have it easy when it comes to driver's license rules: All U.S. driver's licenses are valid in Sweden as long as the driver is at least 18 years old and the license is still valid in the United States. If you are staying in Sweden for more than a year, you must get a Swedish driver's license. In Sweden, you drive on the right. You can pass slower vehicles on the left as long as you do this in a safe manner. Road signs use standard international symbols and sometimes include Swedish phrases. Distances in Sweden are expressed in kilometers; 1 kilometer equals 0.6 miles. Renting a car in Sweden is easy, but you have to be at least 20 years old to do it. The car rental agency will ask to see your passport and foreign driver's license at the very least. Speed signs in Sweden are round and yellow with a red outline. The speed limit for city areas is 50 kph (31 mph). On open country roads, it is 90 kph (55 mph), and on highways, it is 110 kph (68 mph). Any car you rent in Sweden will have speed and distances expressed in kilometers. Seat belts are required at all times, and the same goes for your headlights. Lights must be on regardless of whether it is sunny or not. Snow tires are required from December until March. To drive legally in Sweden, you will need your current driver's license, passport, and the car's insurance certificate and registration. You should have these documents with you at all times when you are driving. Sweden is extremely strict when it comes to drunk driving. Police can require a breathalyzer test without reason, and if it's over 0.2 promille you will get a high fine and/or jail sentence. In emergencies, you can reach the police, local fire department, and ambulance by calling 112 nationwide in Sweden.